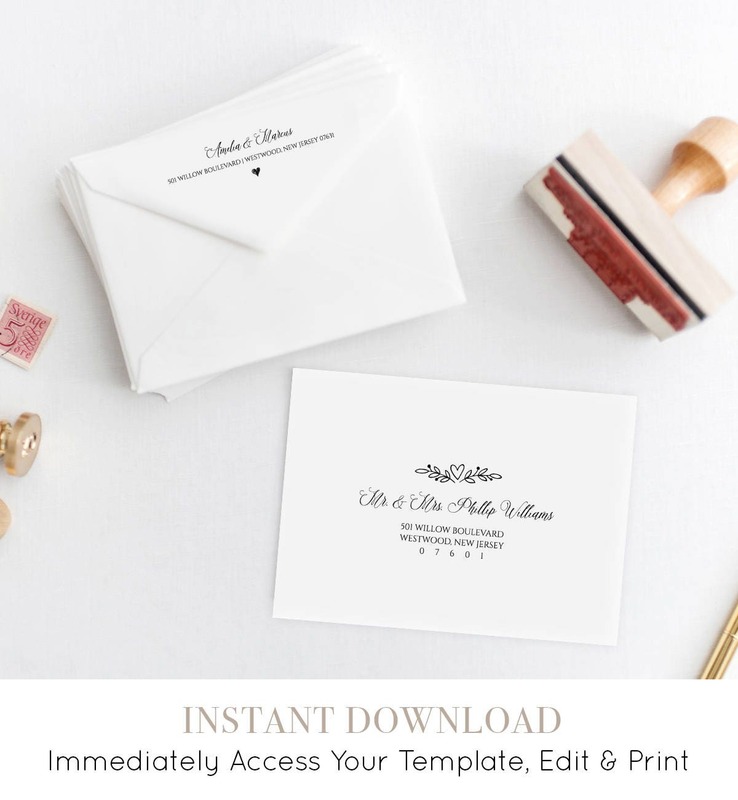 This listing is an "INSTANT DOWNLOAD" that includes a high resolution, printable Envelope Template. Access your template within minutes of purchase and edit in TEMPLETT - A fully customizable template editor that allows you to personalize your printable directly in your web browser. No software to install or fonts to download. 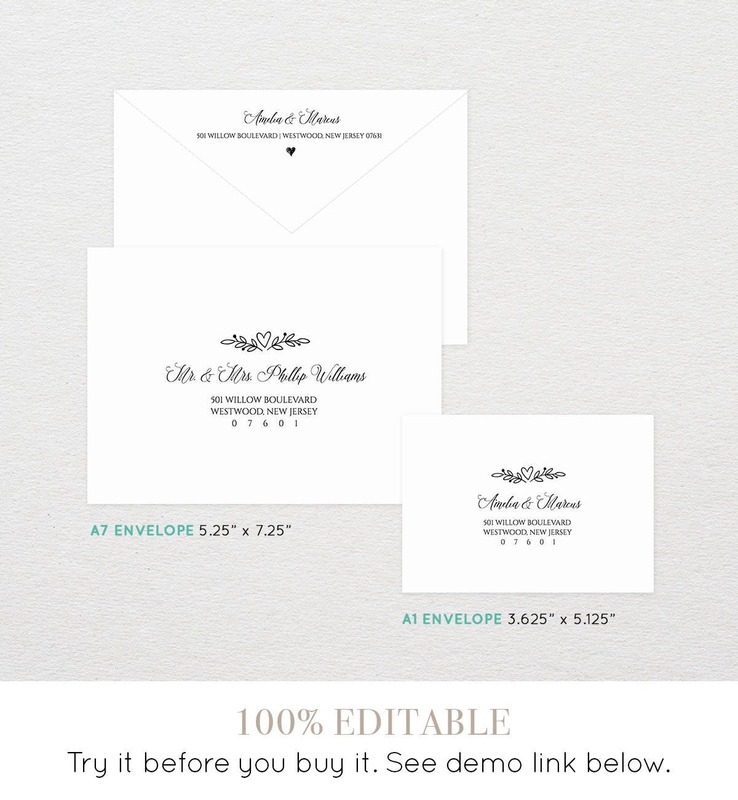 This was so easy to use and my envelopes look professional & elegant. Thank you!! Very easy to use! Took only a couple hours to do 150 envelopes! Very inconvenient program that runs the file/template. After you have typed the name in the program you then have to save it to your computer and open a file from adobe. 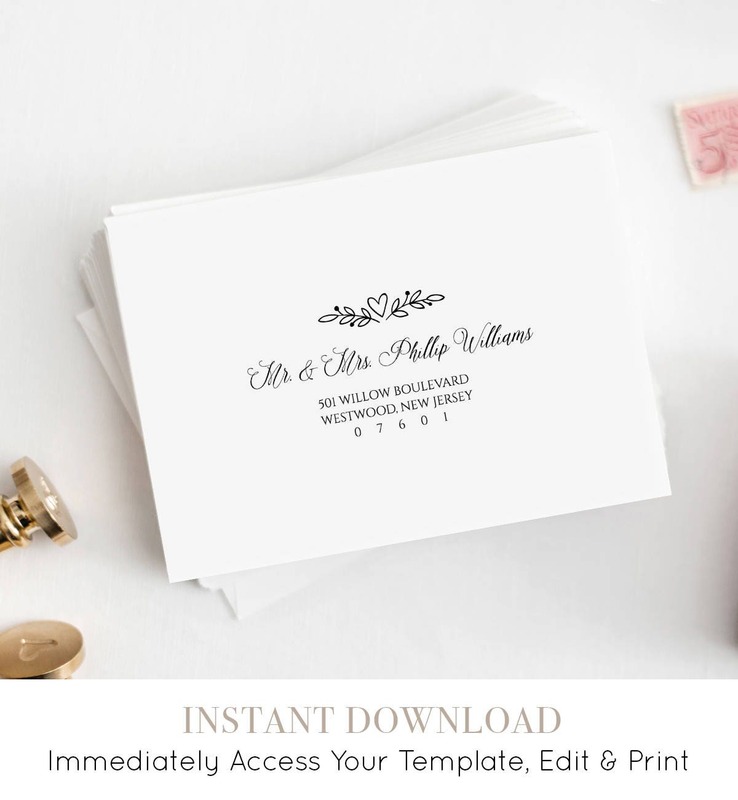 Works great if you do one addressee at a time (but then that is very time consuming to have to save 50+ invitees to your computer). You will understand what I'm talking about if you purchase this file. I tried typing 19 invitees and then saving. The software is still stuck on preparing to download (15 minutes later). 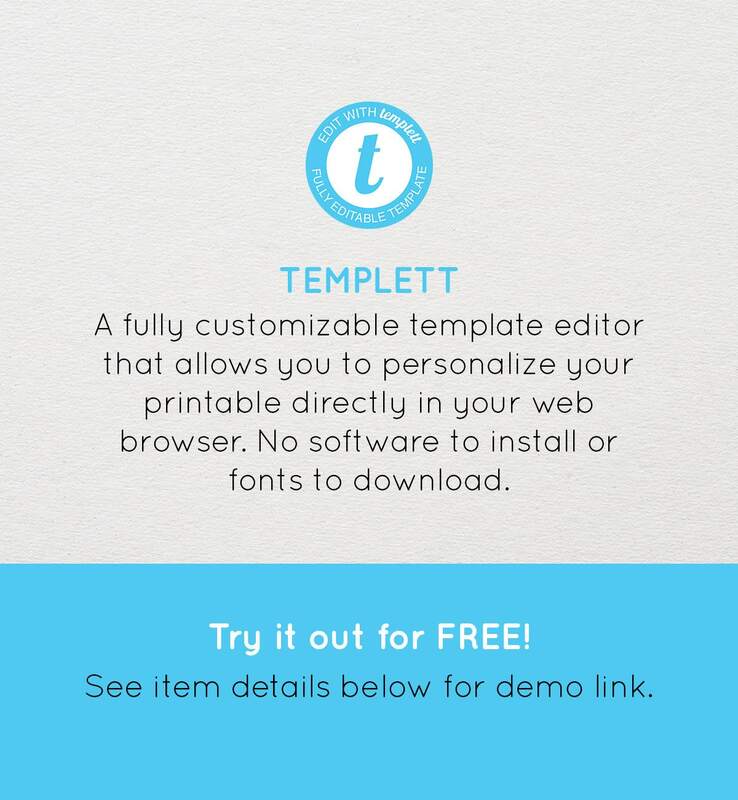 So I'm probably going to have to delete every name I just typed in.Templatt also doesn't allow you to copy from word and paste. Then before printing, you have to change the paper settings(which A7 is not existent in Adobe). I followed all instructions and it never showed up.So I had to go back to the file and play around with it to get it centered.